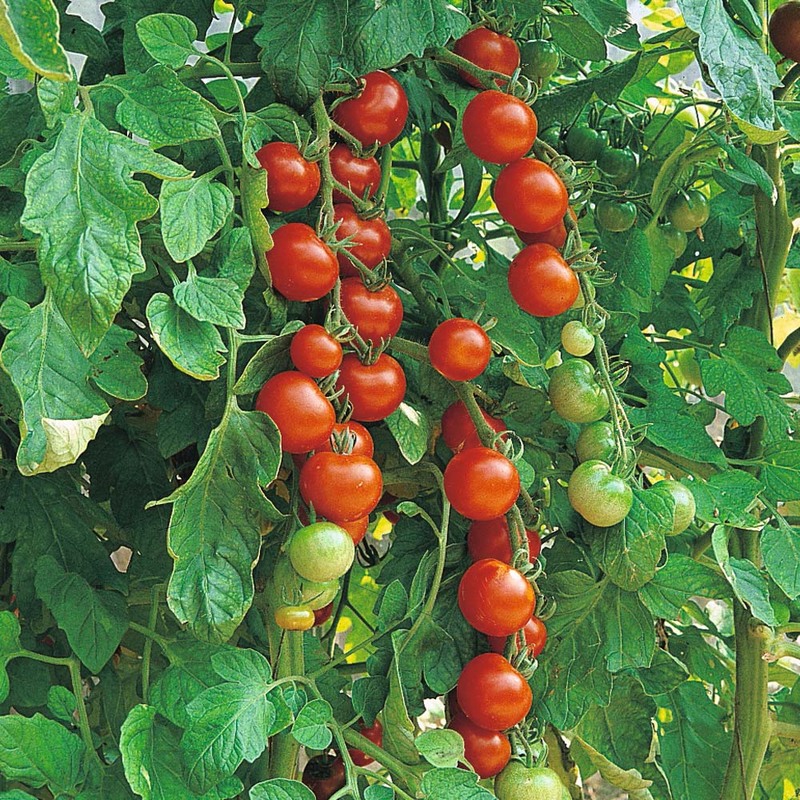 Gardeners Delight Cherry Tomato: “It’s the best-flavored cherry tomato I’ve ever grown.” Some gardeners even claim that Gardener’s Delight is even sweeter than the Sweet 100 Tomato. With the flavor is that of an excellent large heirloom tomato and the classic cherry tomato size to snack on as you work in the garden, is it any wonder this indeterminate is nicknamed “Sugar Lump”? The sugary sweetness means these little guys are also great in salads, skillets, and dried. To add kudos, Gardener’s Delight it produces consistent results year after year, beginning with ripe fruit early in the season that continues until frost. Its reliability has earned Gardener’s Delight the UK’s Royal Horticultural Society Award of Garden Merit, a seal of approval that helps gardeners choose best plants that perform reliably in the garden. Breeder Paul Tellhelm developed this tomato, which was introduced to the gardening world in 1950 by German horticultural firm Benary and distributed in the USA by Jung Seeds of Wisconsin beginning in 1960. Its longevity means some classify it as an heirloom, others put it in the open-pollinated camp. Gardener’s Delight can reach 6-8 feet high, so staking is the way to go. Cages work particularly well, especially in containers or grow bags. The clumps of fruit cascade over the sides of the cages and the pots – a pretty sight, plus it makes them easy to pick. Some gardeners even claim success with growing this variety in over-sized hanging baskets with no support. In the garden, try staking them with a tomato trellis. Gardening tip: if you have clumps of fruit that are ripe or nearly ripe and you see rain on the way, go ahead a pick them before the downpour.